And this time they’re dancing to the Soul beat. 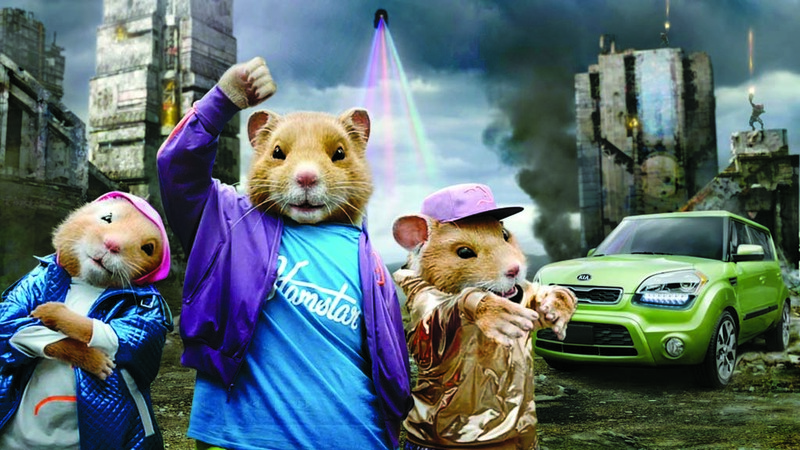 Kia's Hamstars are back -- and this time amateur video makers can get into the act. 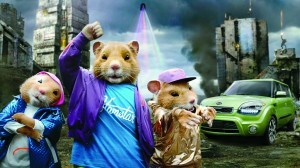 Kia’s hip-hop hamsters are back and showing again that they’ve got soul. Make that Soul, with the Korean maker ready to roll out an updated version of its boxy crossover. The original, 2010 campaign for the Kia Soul introduced the animated stars and created perhaps more of a sensation for the commercial than for the car itself, though the crossover has proven itself a solid seller and a real halo product for the fast-growing brand. First shown driving amidst a wasteland of me-too automobiles, the “Hamstars,” as Kia calls them, returned to rap in a second campaign last year. Now, they’re back and dancing to the sounds of “Party Rock,” the hit by electro-pop band LMFAO in a 60-second spot that somehow combines a music video with a setting that might have come from the popular videogame Halo. After its Friday morning debut on YouTube the spot was already counting up the clicks, while it was also going viral on Facebook. The spot will make its broadcast debut on April 28th during the MTV Video Music Awards. The campaign, like the previous version, will be shown in extended form at movie theaters around the country, as well. As has often been said, “everybody wants to get into the act,” but in this case, that’s something Kia is encouraging. The maker is encouraging fans to submit their own dance videos, inspired by LMFAO’s shuffle dances. The contest will take off in September, and will be hosted on Kia Soul’s YouTube and Facebook channels. The new minute-long spot, like the two earlier commercials, emerged from Kia’s U.S. ad agency, David&Goliath. It will have a lot to live up to. The original and 2011 successor both took honors, two years running, as Nielsen’s Automotive Ad of the Year. “The success and popularity of the Soul continues to grow and attract new customers to the Kia brand, and with music playing an important role in our marketing efforts it is the perfect time for the hamsters to return,” said Kia Motor America’s Vice President of Marketing Michael Sprague,. The 2012 update of the Soul will feature a new and larger 1.6-liter direct-injection engine that gets 135 hp – an 11% increase – and 121 lb-ft of torque. Also new is the 6-speed automatic gearbox that will help bring fuel economy of 28 mpg City/34 Highway, according to the EPA. An upgrade 2.0-liter engine will be offered, as well, its horsepower rating up 13% to 160, with mileage of 27/33. The 2012 Kia Soul will start at $14.650 – including a $750 destination charge – an increase of $600 over the 2011 model. Apparently, those Hamstars don’t work cheap. Hey!…how about a new name for the new model? Better than Kia Roadkill, that’s for sure!